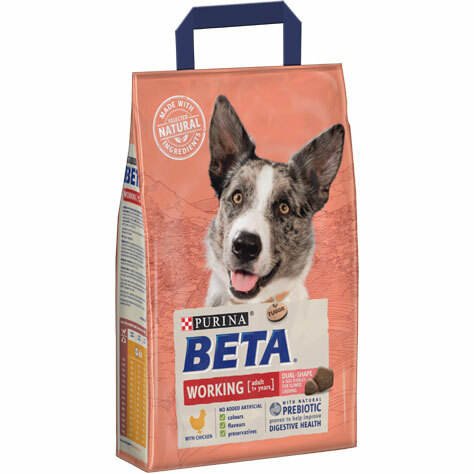 The Beta complete dog foodrange is made using carefully selected natural ingredients, a natural prebiotic and no added artificial colours, flavour or preservatives. 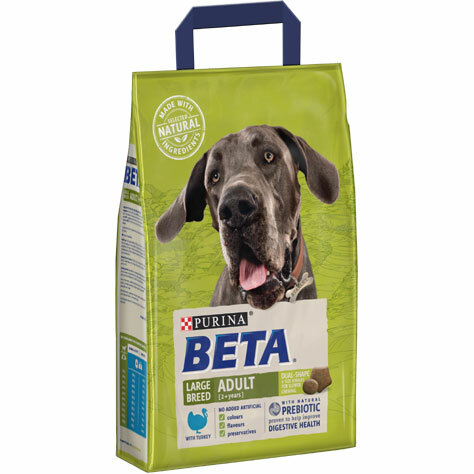 All Beta dry dog food products are tailored to meet the needs of dogs, whatever their size, age or health! The right balance of vitamins and minerals are added to each range to carefully cater for a dog’s needs. The healthy ingredients will help to promote healthy bones, joints and teeth, as well as aiding a healthy digestive system. 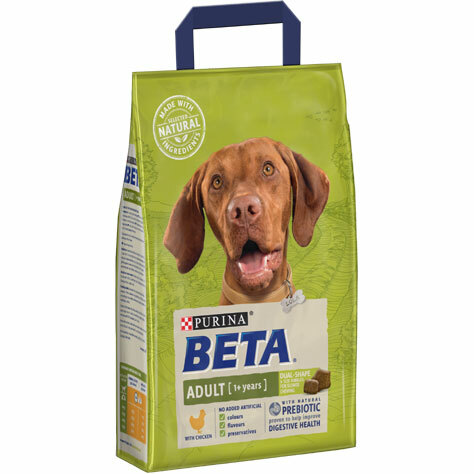 Beta dog food will keep your pet happy on the inside and outside, with a variety of different meaty flavours available to choose from. 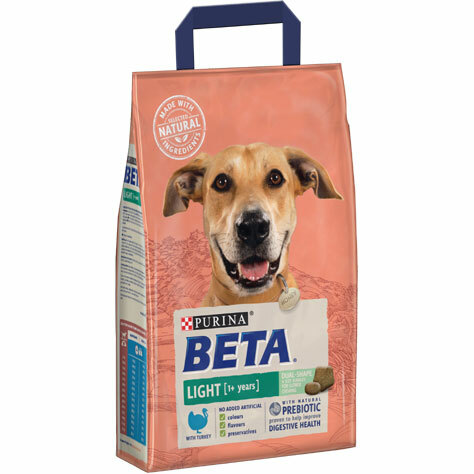 BETA® recipes are formulated with chicory, a source of natural prebiotics, which has been proven to help increase the number of good bacteria in the gut and help improve digestive health. 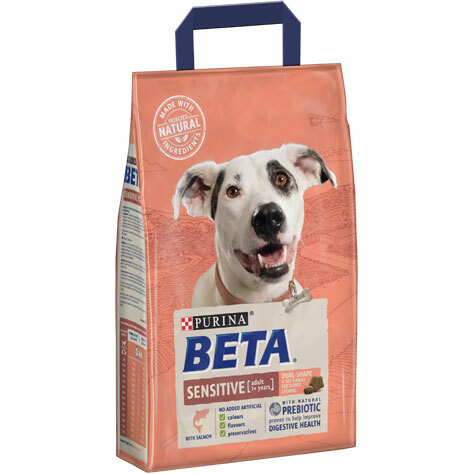 After 30 days of feeding BETA®, the good bacteria, bifidobacteria, may be multiplied by 100 times, helping to support your dog’s healthy digestion. 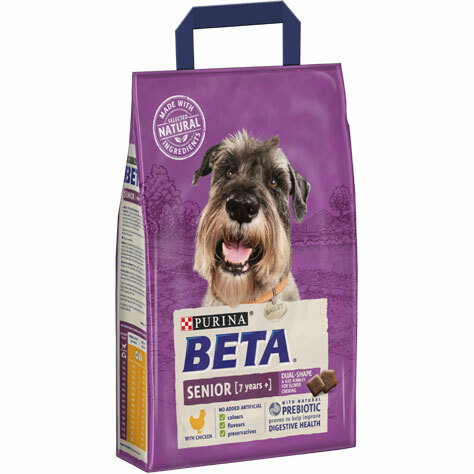 Whether you have a puppy, adult dog or senior dog, Beta dog food offers a wide selection for them to get their teeth stuck into! 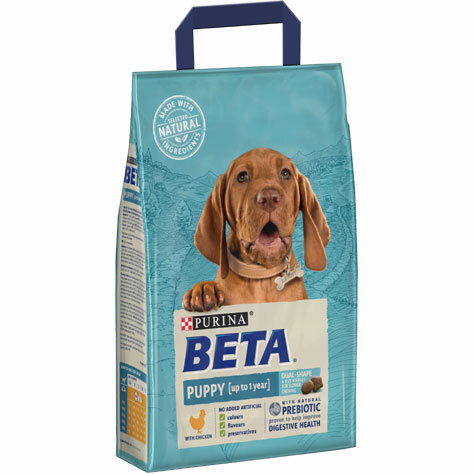 If you need some professional and reliable advice on which dog food to go for, feel free to call the team on 01268 521974 or alternatively, we have a pet shop near Wickford where you can browse the full range in person.